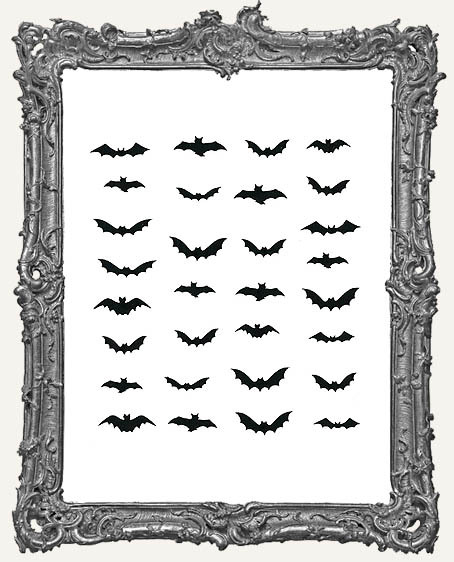 * Package of 30 awesome bats. 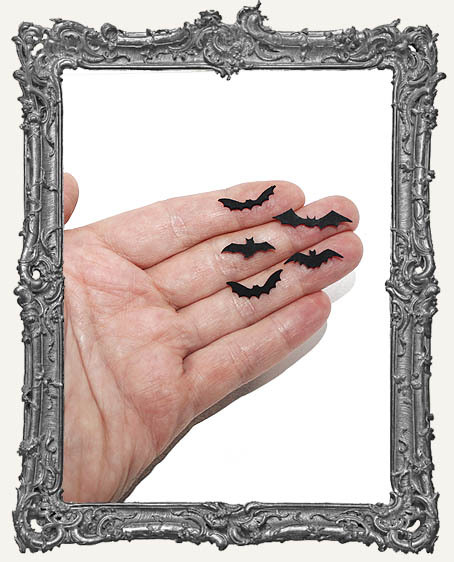 The same great styles as our original Bat Cut Outs, but half the size and twice as many! * They measure approximately 1/2" - 1". * Paint, collage, ink, emboss, stamp, faux metal, embellish, and more! 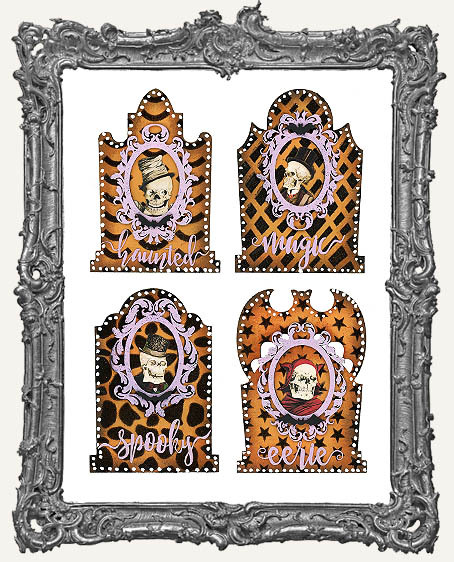 * Perfect with our Gothic Tombstone ATCs and any Halloween art! * Pick your choice of material below: 1/16" Black Mat Board (as shown), 1/16" Chipboard, or .015” thick Stencil Board.